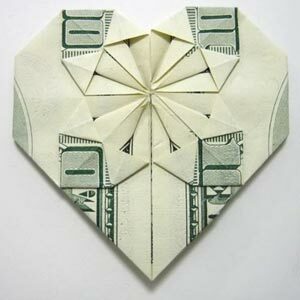 This dollar bill rose looks fabulous on its own or in a bunch. 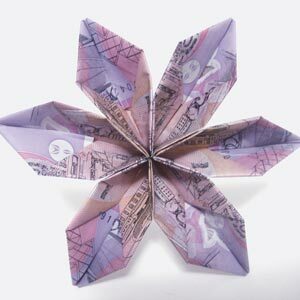 A money bouquet made from these origami money flowers makes a gorgeous wedding or graduation gift. I should mention that I tweaked Winona's money rose design just a little bit, using green paper to make the calyx rather than using a plastic calyx from an artificial flower. Saves you the trouble and expense of buying artificial flowers. By the way, remember that I said a money bouquet makes a great graduation gift? Well, Winona's bouquet was a graduation gift from her mom... except that she made herself. Now it's your turn to make someone a rose or bunch of roses! 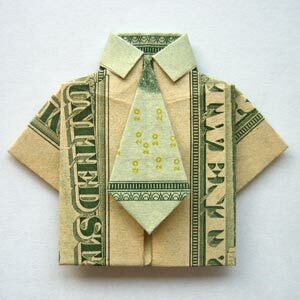 Let the money origami begin. Click the white arrow to play. If the video doesn't display, you might need to download the free Adobe flash player . Once you've made your rose, you can spray a little perfume on it too!